This pretty little boat was conceived in response to requests from owners of bigger Morrises for a smaller, simpler daysailer. The earlier Morris daysailers—the M36, M42, and M52—were father/son collaborations between Tom and Cuyler Morris, but Tom’s lengthy illness meant the M29 bears Cuyler’s stamp. Hull #1 was completed and launched in the frigid depths of the Maine winter, but I was lucky enough to step on board at the Miami boat show in February. The sleek Sparkman & Stephens design has a distinct familial resemblance to the M36 and 42, from the deck and cabintop styling down to the cove stripe that accentuates the subtle sheerline. 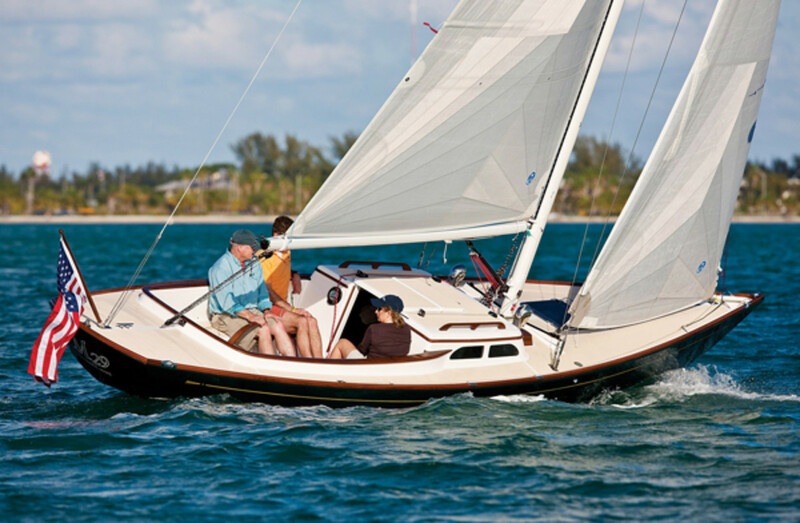 It reminds me of one of my favorite boats, the Dragon, which is about the same size; like that boat, the M29 has a sweetness of line that will seduce any classic-boat aficionado—in fact, any sailor. It just looks right. As the puttering 10-horsepower Yanmar diesel propelled us into the flat waters of Biscayne Bay, Cuyler Morris made short work of hoisting the big North mainsail; I had never seen a 2:1 purchase on the main halyard of a 29-footer before, but it makes sense in the context of this boat. Apart from the diesel (whose 8-gallon tank should easily outlast the season), the Raymarine wind/speed/depth instruments, and a toilet/holding tank combo whose use will likely be restricted to true emergencies, the M29 is entirely devoid of systems. You bring your beverages and food on board with you and take them home again in the evening. Belowdecks, there is only the engine box, the enclosed toilet, and a couple of bunks, which I suspect will only be used for aprs-lunch siestas. You could sleep on board, sure, but will you want to? I suspect not. This boat is all about the sailing experience, not the cruising experience. And the sailing experience is very nice indeed. Unrolling the jib—which is set on an endless-line furler—we sailed into a fickle morning breeze that blew from any direction it felt like and peaked out at around 8 knots. Since the boat displaces a svelte 5,000 lbs, it doesn’t take more than that to get it moving nicely. The self-tacking jib’s single sheet is tensioned by means of a tackle, as is the spinnaker halyard, and all the mainsail controls—sheet, vang, outhaul, cunningham—are easily enough worked by hand. Most lines are led aft under the deck, so there is nary a rope in sight, kind of like a large radio-controlled model. I’d have loved to try out Cuyler Morris’s bespoke spinnaker launcher—the A-sail resides in a long fabric tube and can be set and retrieved singlehanded—but the kite had been left ashore. 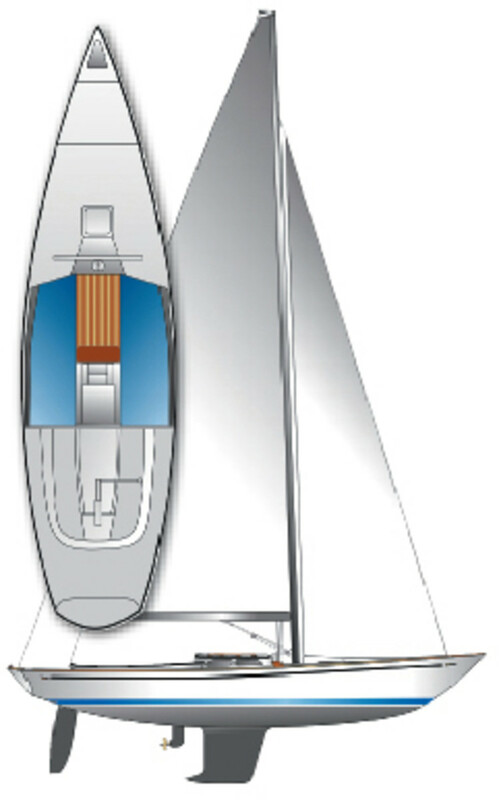 A typical modern 30-foot cruiser would have 10&apos; of beam; the M29 has seven, and the good manners that go with narrow beam. She heels until the keel bites, powers up, and tracks straight and true. The tiller is fingertip-light and super-responsive without being twitchy; there is just enough weather helm to let you know the deep spade rudder is giving you some lift. When you want her to, she&apos;ll spin in her own length. Want to tack? Just put the tiller over. I could have sat in that long, comfortable cockpit all day, fingertips on the tiller, until the sun was ready to set. It seems to me that people who go down the daysailer route seldom go back to big cruisers or racers, and I can understand why. Boats like this are easy. Easy on the eye, easy to sail, easy to maintain, easy to load on to a trailer and take home for the winter. Easy to fall in love with, too, I reckon. 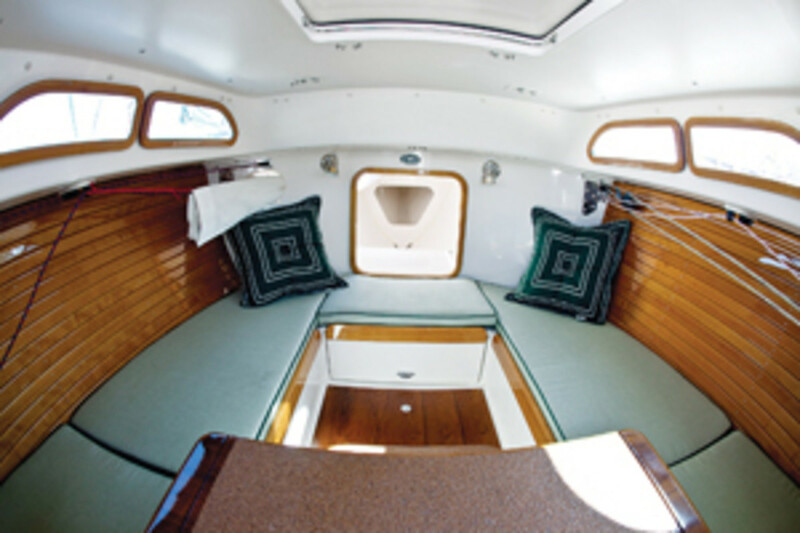 Builder:Morris Yachts, Bass Harbor, Maine, 207-244-5509.